Substituting 29 of the most expensive brand-name combination drugs with generic alternatives could have saved Medicare $925 million in 2016, according to a new study. Combination drugs like Nuedexta, which marries cough suppressant and low-dose quinidine to treat spontaneous crying or laughing, ideally reduce the number of pills a patient has to take and improve adherence. But that isn't the case when branded combination drugs are prohibitively expensive, as a new study published in JAMA highlights. The study points out that drugmakers can extend their patents and marketing exclusivity by creating new brand-name combination products. Manufacturers tend to debut combination products at the end of a drug's patent life and shortly before the generic version of the single active ingredient drug enters the U.S. market. The study also calls into question "me-too" drugs that are nearly identical to existing medications. The number of combination drugs approved by the U.S. Food and Drug Administration that contain drugs already on the market has been increasing steadily from an average of 1.2 approvals per year in the 1980s to 2.5 per year in the 1990s, 5.9 per year in the 2000s, and 7 per year from 2010 through 2012. The potential harm of me-too drugs' financial toxicity far outweighs the minimal value they offer, said Erin Fox, who directs the Drug Information Center at the University of Utah Health system. "The FDA continues to approve new cardiovascular drugs, however, there is little clinical evidence that the new brand-name products provide any benefit over drugs approved years prior with generic equivalents," she said. Researchers looked at three different sets of brand-name combination drugs: ones that had generic substitutes at identical doses, generic alternatives with different doses and therapeutically equivalent generic substitutes. The list prices of the 29 branded drugs analyzed increased anywhere from 35% to 1,759% from 2011 to 2016 while generic prices remained relatively flat. Substituting Nuedexta alone could have saved the Medicare Part D program $189.1 million in 2016, researchers found. The mean reported Medicare expenditure for Nuedexta in 2016 was $12.30 per pill while the lowest dose of quinidine (200 milligrams) was 26 cents. If a lower dose of quinidine were available at the price of 26 cents per pill and prescribed with dextromethorphan for the 50,000-plus Medicare Part D beneficiaries who filled prescriptions for Nuedexta, that would have saved nearly $200 million in 2016. Edarbyclor, which is a combination of azilsartan and chlorthalidone used to treat high blood pressure, was priced at $5.36 per pill in 2016. If losartan had been substituted for azilsartan and prescribed with chlorthalidone, the cost would have been 94 cents per pill, resulting in $11 million in savings for the 11,805 beneficiaries prescribed Edarbyclor in 2016. For a small subset of patients, there may be legitimate clinical reasons to use a specific drug rather than using therapeutic substitution, the study notes. But those cases are rare. Branded drugs are the primary driver of the skyrocketing price of prescription drugs. Ensuring there is a healthy market of generics has been the FDA's main strategy to lower drug costs. Drug prices are expected to increase 4.92% next year, according to Vizient, the group purchasing and consulting company. Nearly 80% of the projected price inflation stems from drugs with no competition. While the increase would be less than 2018's 7.61% hike, drug costs represent some of the fastest-growing costs in providers' balance sheets over the past several years. 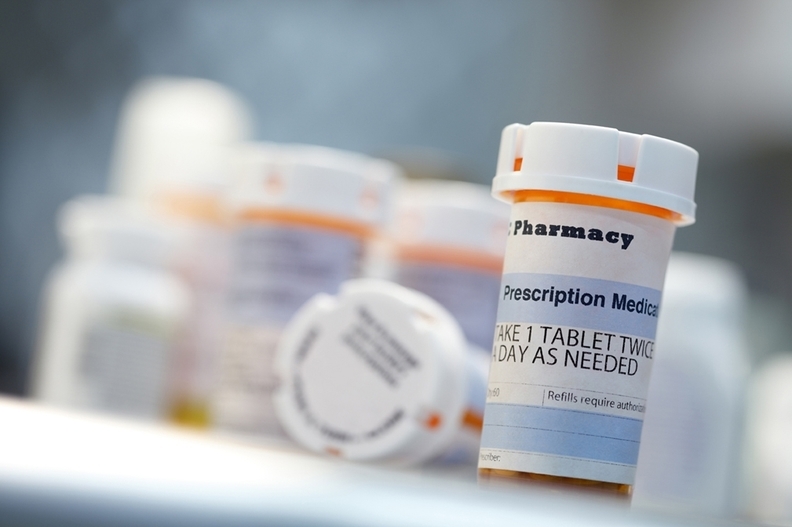 Promoting generic substitution and more cost-effective alternative drugs through prescriber education and more rational substitution policies may help rein in pharmaceutical spending, researchers said. Still, it's often difficult for physicians to know how much something costs. They might also be up against insurance plans that only cover brand-name products. Also, there are a number of sales reps trying to pitch the convenience of combination drugs, although the evidence that they actually improve adherence is limited, according to the study. The FDA could also require comparative trials for me-too drugs rather than just keep approving them based on comparisons to a placebo, Fox said. "If the new drug truly is better than what is already approved, great," she said. "But most of the time these drugs offer no additional benefits and just end up costing more."